Cars registered before 2005 will be required to pay an extra £10 for entering the London Congestion Zone from 23 October. The new T-Charge has been announced by the Mayor of London, Sadiq Khan, in an effort to cut the 9500 yearly deaths in the city linked to long-term exposure to air pollution. The fee is expected to affect 10,000 cars a day, which enter London between 7am and 6pm Monday to Friday. It took the capital just five days in January to breach its pollution limits for the whole of 2017 and this has prompted environmental campaigners to call on the Government to create a credible framework for improving air quality and banning all diesels from London by 2025. “The scale of the failure to tackle the problem is demonstrated by the failure of the Government and the previous Mayor to meet legal pollution limits. Urgent action is now needed to ensure Londoners no longer have to fear the very air we breathe,” said Khan. The charge would apply to all vehicles with pre-Euro 4 emission standards (broadly speaking those registered before 2005) and will add an extra £10 per day on top of the existing Congestion Charge. This means the most-polluting cars will have to pay up to £21.50 a day to enter the city on a week day. 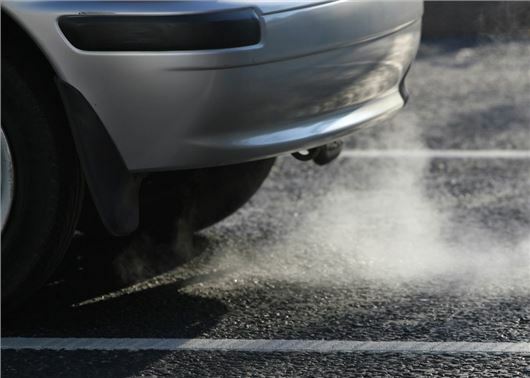 A national scrappage scheme for diesel cars could also be introduced within months to improve air quality in Britain's cities. Dr Penny Woods, chief executive of the British Lung Foundation, said: “Urgent action is needed to clean up London’s air. We are pleased the Mayor has prioritised improving air quality. The European Commission has warned Britain about its failure to tackle air pollution and is preparing legal action against the UK for not enforcing EU law during the Volkswagen Emissions Scandal. Well londoners voted him in, its up to you to vote him out, I wonder how much longer couriers and delivery drivers blacklist London, and what about banning London buses and taxis to make it unilateral. Yet, the United States, a Country where, diesel engines in cars are not popular and so only a small percentage of diesel cars are on the roads, have Cities which also suffer from equally high pollution levels as London, with possibly Los Angeles being even worse. But hey! let's not let these facts get in the way of penalising and waving pitchforks at the Diesel Car owner!. In a few decades' time, when everybody has followed the current advice and are driving Electric Cars, no doubt the G'ment will conveniently find some health risk attached to them or the disposal of millions of used batteries, and then set a date to ban them from London and perhaps other Cities, and from then onwards every Electric Car mentioned on HJ, will start a witch hunt and we'll all move on to the next 'fuel' of choice, and so the circle continues. Whilst Sadiq Khan continues his crusade against Diesel cars, he is backing the expansion of the Airport, yeah I suppose all of these extra jet fuel fumes in the sky above them are going to be life prolonging elixir of life to the Londoners!. Anyone with any amount of sense will know that this is just another punitive tax on drivers, Unfortunately us plebs do not get free ministerial Jaguars to use as we see fit so for anyone who cannot afford a newer vehicle tough luck is what they are saying. Interesting Debate- What essentially diesel car drivers are saying, tough luck to those unfortunate people who are dying.-early, young and old. Asthma cases have risen by 66% since the introduction of diesel, but hey ho I dont give a s--t. Children's lungs are not developing fully. It is costing the NHS millions in treatment. There is a simple remedy move all of us from fossil burning fuels. What diesel drivers have got to come to terms with is that Government,s and Mayors have powers which they are entitled to use.That is why they are in Government, to affect change. The Mayor of London in 1054 banned the use of open coal fires which created smog in London. FACT, The Victorian Government and subsequent Government's have banned the discharge of sewage in the sea, rivers and lakes. FACT. When you car goes in for a service the mechanics do not use asbestos brake pads FACT, They are not allowed to touch used engine oil.FACT, They have to pay, yes pay a lot of money to have old engine oil removed and safely disposed of.FACT. Because Government changed the law. I run a petrol engined car and pay £280 a year road tax. That is too low. It should be nearer £500. UK citizens and me have got used to a low car tax regime and cheap diesel and petrol and above all cheap cars. In Norway, Sweden and Denmark a VW Golf will cost you over £33000. In Singapore it will cost £55000. Result clean air as everyone uses public transport . Sadiq Khan as Mayor of London has taken statistical evidence from Imperial College London, the BMA and London University, that diesel toxicity is real and damaging. to all of us. Like the Mayor of Zermatt in Switzerland has banned all diesel and all petrol vehicles from the town. All taxis, dust lorries and cars are electrically powered. VW have been fined over $16 billion by the US Government for lying about diesel emissions. Their diesel emissions were not twice the recommended limit but 700% greater. What we have got to learn to do is to stalfasud75@aol.comop being selfish and learn to work together to create a more sustainable society. If we carry on at the present. rate every major city in the UK will be blighted by fumes by 2020. To put the question another way-would a diesel car owner buy a house with asbestos in it, or buy a house where there was a danger of nuclear radiation-I thought not. I am quite in favour of a Diesel scrappage scheme, and quite willing to hand mine in, but since it's under 6 months old, the payout has to be book price. Not a small allowance. I feel cheated by the government and so-called health experts (I believe global warming is just a big con but that's another issue entirely), who clearly haven't done their research correctly, so why should I and millions of other motorists be penalised for their mistakes?